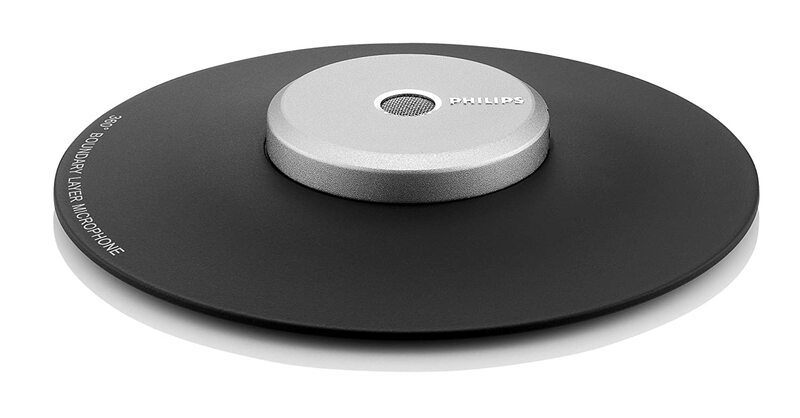 The perfect complement for digital conference recording systems. 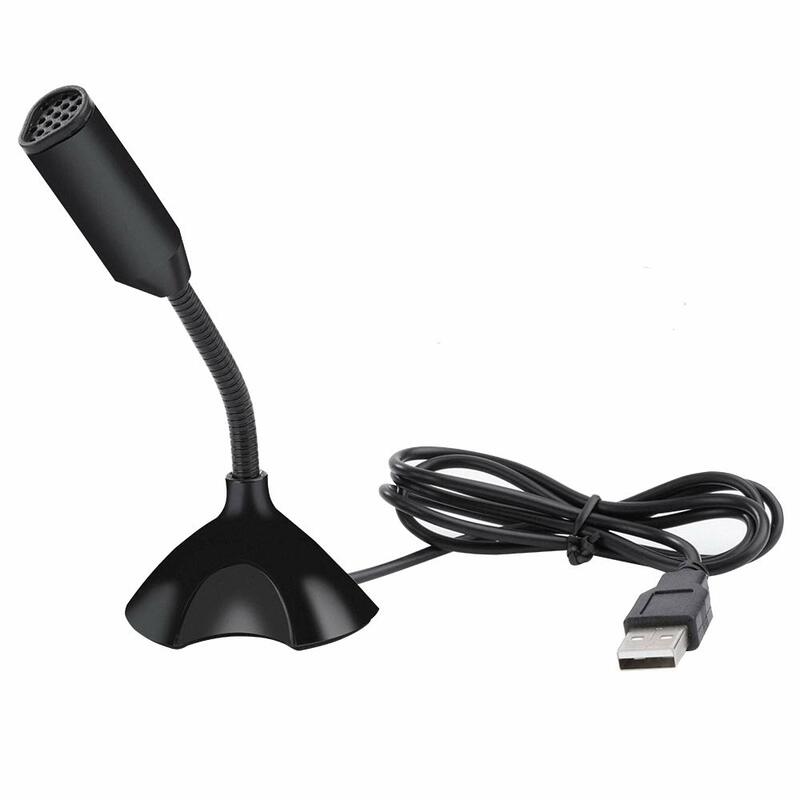 The conference microphone delivers brilliant sound quality, accompanied by outstanding ease of use. Revolutionary technology in a straightforward form. The revolutionary boundary layer microphone is, as opposed to other prevalent devices, non-directional. 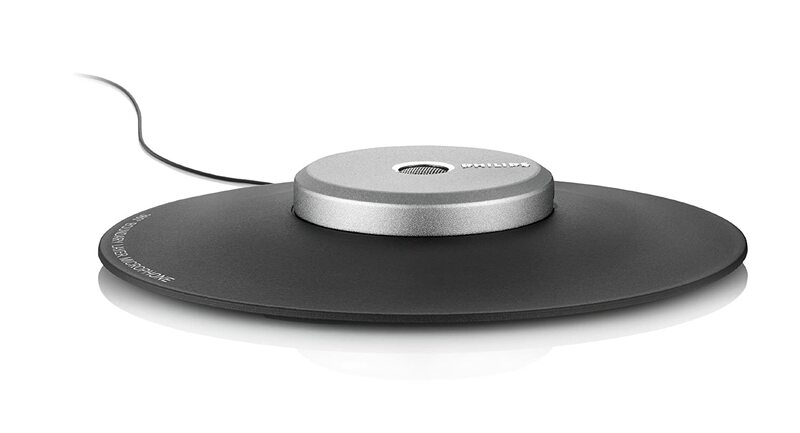 The design allows sound pick-up from a 360 degree radius, so that no important details are lost. The conference microphone is easy to set up and put into operation. Unlike other systems, there is no microphone stand required; just placed it on the conference table. In order to meet the future needs of your business, the daisy chain feature of the boundary layer microphone allows the connection of up to 6 microphones to the recording device for larger tables. For maximum convenience, the cable storage is integrated into the base of the microphone. 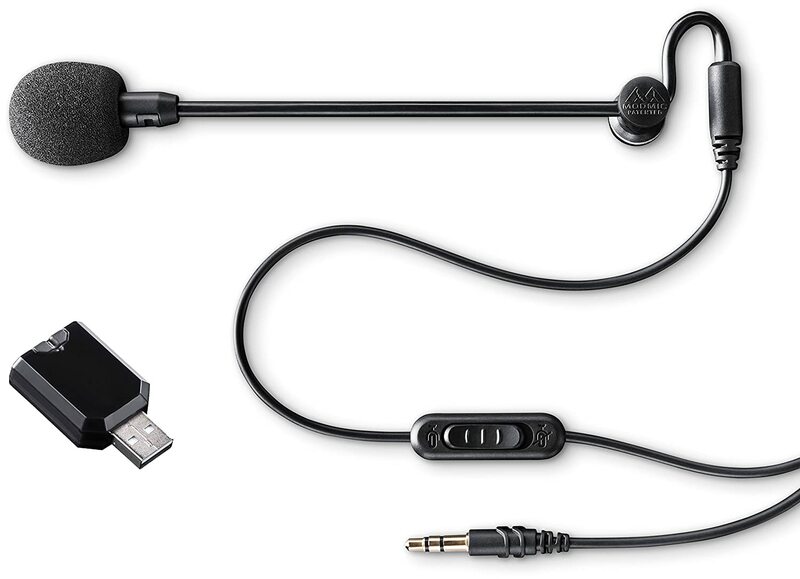 Package contains conference microphone, adapter plug (3.mm to .mm), and adapter plug (analog). 5V phantom power to operate properly. When combined with a Behringer U-PHORIA UM2 mixer and a Rode Phantom Power Supply ***VXLR+*** (which steps the standard 48V phantom power down to 5V), the mic has surprisingly good pickup. Only giving 4 stars since, as far as I can tell, Philips doesn't offer a standalone phantom power supply for this mic, which would eliminate $55 of extra equipment to get it to function. 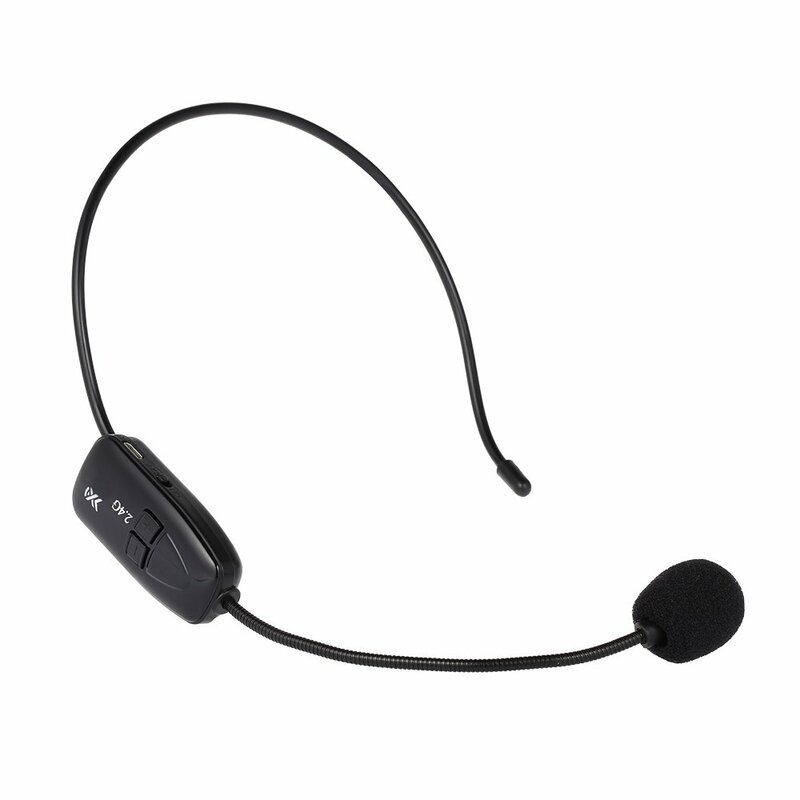 My organisation uses VoIP applications (Nefsis, Skype, and now Lync) quite a bit to cut down on tel-co phone costs, but getting a proper microphone for the participants has always been problematic. Near the end of last year we started using a simple USB speaker/microphone, but in a meeting of only six persons, individual speakers sometimes had to move closer to, or in some cases actually hold the mic in order to be heard. We even tried a couple Shure microphones via an amp with slightly disastrous results and poor recording range. To be honest i was desperate for results, so when i saw this Phillips mic and its simple hype i certainly hemmed and hawed at the price tag, but bit the bullet and bought it (it was not reviewed at the time). My initial tests when i received it were fairly disappointing (in hindsight i must have had some advanced volume setting off or lowered), but i tried again later on and was pleasantly surprised with it's range and quality. In one of our standard meetings (recently had one with 11 people in the room) the furthest person from the mic would be about 10-feet away, but our remote participants always had a "loud and clear" response for audio checks. 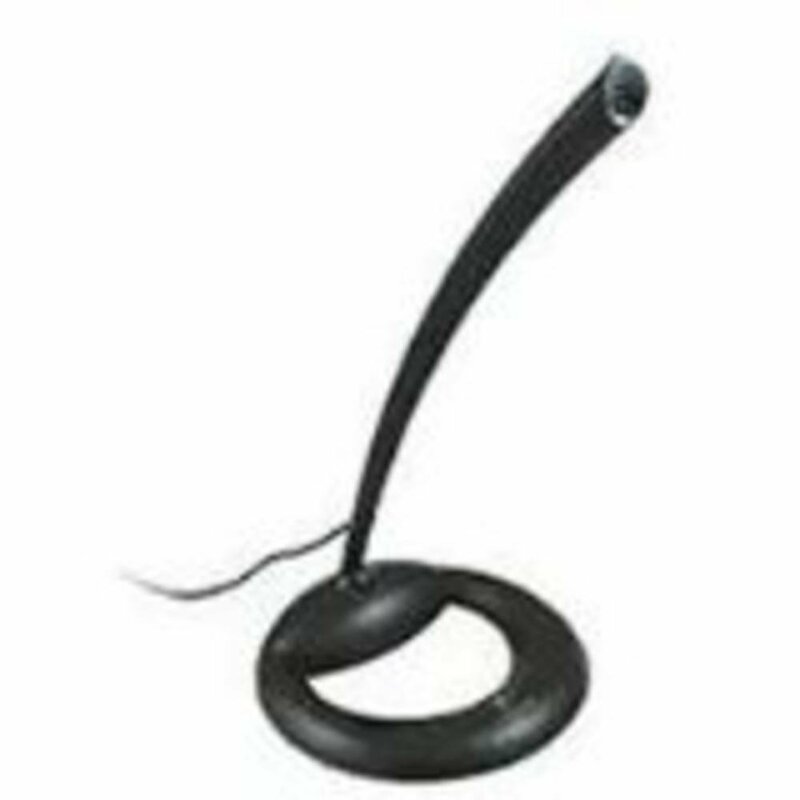 The mic itself was no larger than 5-inches in diameter, and its black and silver design was simple and to the point; on a tabletop it was unobtrusive but for its thin black cable (which is easily stored on its underside spool). The usual background noise was also lightly picked up (AC unit, papers rustling, etc. ), but i'm not expecting perfection. The main disadvantage with this mic to me is its price. Currently, i will say that it was worth the price because it now services my VoIP conferences of about 6 - 18 people in a room easily. One should also consider that the device can be daisy-chained with more of the same device to allow for up to 6 mics total (which in my view should easily cover our largest meeting room of 40 participants, and then some). And considering the price-point of some professional conference mic systems, perhaps $150 is laughably cheap. In anycase, i hope to buy another one or two soon to help make the overall PC-VoIP experiences here more seamless and hassle-free. FYI the computers i tested ran Windows XP/7, and the latest versions (as of October 22nd, 2011) of Skype, Nefsis and Lync. The systems varied from Dell Latitude E4300s to an older Inspiron 1520, with no noticeable change in quality. I use a 2015 MacBook Pro. It has only one audio port--a regular 3.5mm round jack. This is what the microphone comes with BUT the way the plug is configured, the MacBook will not recognize that is/has a microphone. So now I'm buying yet another device, a 3.5mm-to-USB adapter. Will update the review...but for now I don't even know if the microphone works since I can't attach it to my laptop. ETA: I tried the USB adapter and still no luck. There may be some way to make this work but I'm not going to spend any more time on it. First rate addition for a conference phone, works well and is clear as a bell. These microphones have dramatically improved the quality of my live programs that are shot in a static setting. Greatly increased the sensitivity of the Phillips digital recorder I purchased separately and enables recording of even soft voices. Highly recommended even though the price seems a bit steep. I probably should have gotten at least two of them. But overall it did a great job at picking up all ten people's voices.